French Quarter, Bourbon Street, Pat O’Briens, Hurricanes, beads, slushies, all night debauchery….these are probably some of the first things that come to mind when thinking about New Orleans. 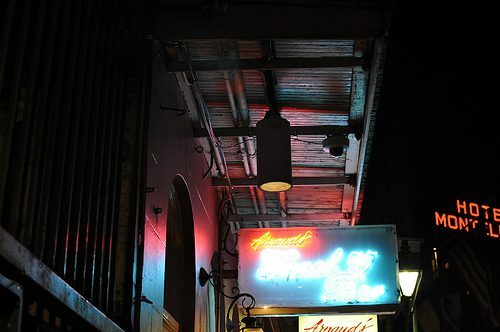 Visiting New Orleans, it is impossible not to find a place to drink. 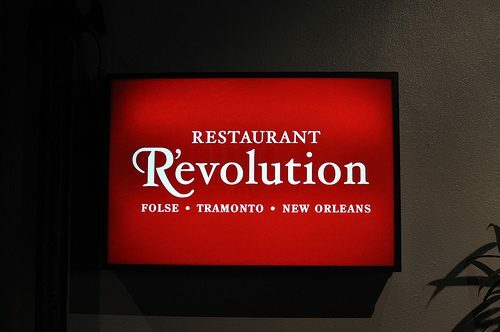 But New Orleans has also entered the cocktail renaissance that has spread around the country. 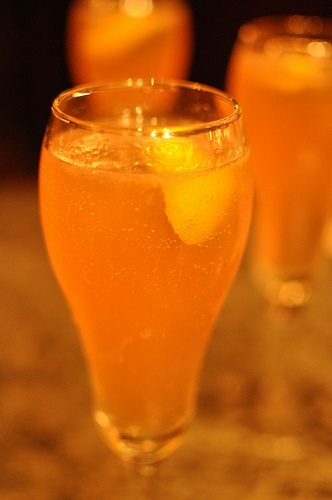 New Orleans is home to many traditional cocktails that can be found in some of the more historical bars in the city. And new bars have been opening at a rapid pace that offer a modern take on classic cocktails, using fresh ingredients and enjoying the art of the cocktail. 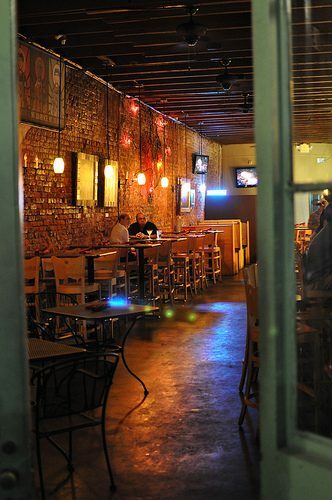 From classics to originals, there are many places to get a great drink! 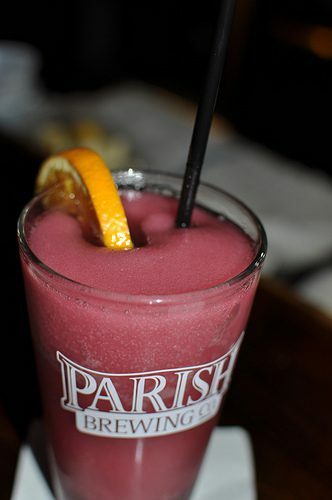 Many people think that cocktails were invented in New Orleans. 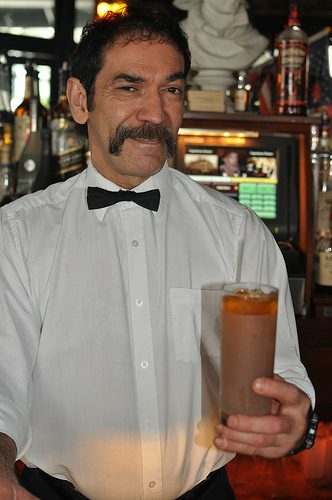 While this isn’t true (the name “cocktail” first appeared in an upstate New York newspaper in 1806), there are a few drinks that New Orleans can proudly take ownership of, such as the Sazerac and the Ramos Gin Fizz, and a few French Quarter bars worth visiting both for their history and for their “featured” drink. 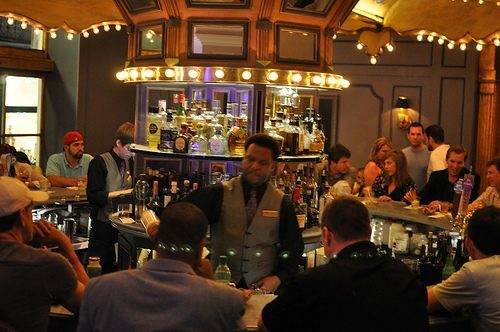 Originally “a gentlemen only area,” French 75 bar was opened in 2003. Order a house-made creation from lead bartender Chris Hannah, in his white jack and black bow tie, or the classic French 75, the bar’s namesake cocktail, made with gin, made with Champagne, lemon juice, and sugar. The recently renovated bar now offers a more open, sophisticated feel, but the rotating carousel bar is still the center attraction. Try to grab a seat at the bar, as it is difficult to stand and slowly follow the rotation, and order a classic Ramos Gin Fizz. Combining gin, cream and egg whites, lemon and lime juice, sugar, orange flower water and club soda, Henry C. Ramos invented the drink in 1888. While made famous at another New Orleans bar, The Carousel Bar makes one of the city’s best Ramos Gin Fizz. The historic bar at the Roosevelt Hotel is the original home of both the Ramos Gin Fizz and the Sazerac. There is no better place to order the bar’s namesake. Made with cognac or rye whiskey, absinth and Peychaud’s bitters, the Sazerac is the official cocktail of New Orleans. 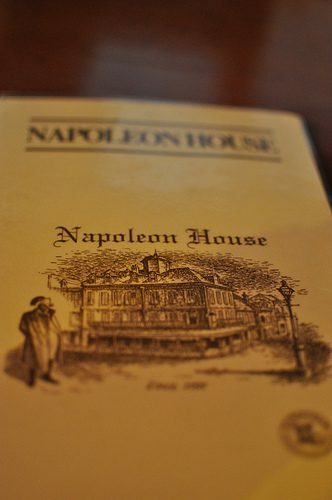 The Napoleon House is located in a 200+ year old building in the French Quarter that was owned by the mayor of New Orleans in the early 1800s. Although Napoleon never stayed there, the name of the bar came about because he had been invited to live there during his exile in 1821. Today a bust of Napoleon sits on the back bar of the bar most famous for the Pimm’s Cup. 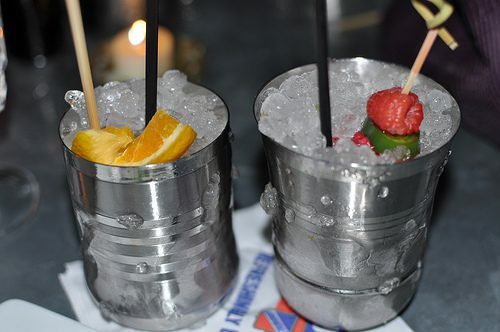 While created in London by bartender James Pimm, is it the signature cocktail at the Napoleon House is made with Pimm’s #1 and lemonade and topped with 7up and a cucumber. It may not be a sophisticated cocktail but it is the perfect drink for those hot New Orleans days. While Absinthe, a licorice-flavored liqueur from Europe, was first used in the original Sazerac, it was also used the “Absinthe Frappe,” a mix of Absinthe, Anisette and soda water. This popular drink was created in 1874 at the Old Absinthe House in 1874 by Cayetano Ferrer. 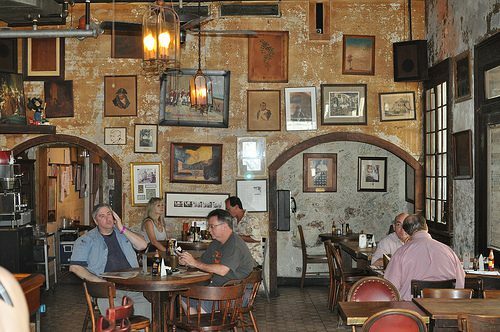 Many famous personalities are known to have imbibed here, such as Oscar Wilde, Mark Twain and General Robert E. Lee. While these historic bars will always be popular watering holes, with Tales of the Cocktail, the largest annual cocktail festival, and many New York bartenders relocating to the city, the New Orleans craft cocktail movement is also growing rapidly. Here are some of the bars leading the trend of the craft cocktail scene in New Orleans. The blood-red walls, plush furniture and back-lit bar makes you feel like you have walked into a bordello. Aptly decorated, the bar name honors E.J. 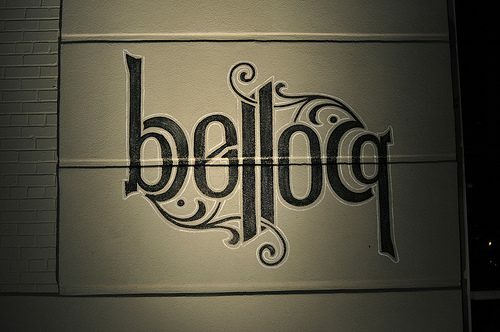 Bellocq who famously secretly photographed Storyville’s prostitutes in the 1900s. 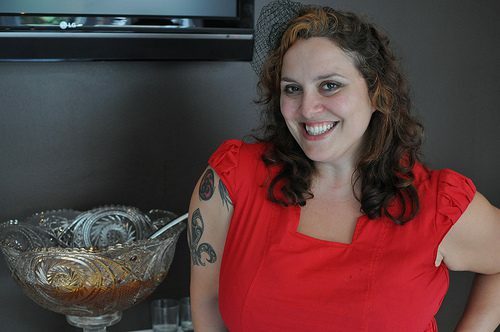 Owners Kirk Estopinal and Neal Bodenheimer have created a menu featuring the traditional low-proof Cobbler. The “cosmo” of its day, a Cobbler is a mix of aperitif wine (sherry, vermouth), fresh fruit and crushed ice with a tall straw that shows off the glass and ice. 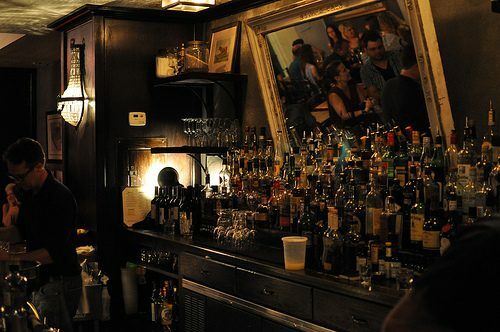 Also owned by Neal Bodenheimer and Kirk Estopinal, the name Cure is a nod to the historical place of cocktails coming from the pharmacies in the 19th century. Like the pharmacies with their bottles of bitters and tinctures, glass jars filled with ingredients line the bar. Utilizing unlikely ingredients such as salt and red wine vinegar, Cure creates cocktails that are enjoyed among friends while you “cure” what troubles you. 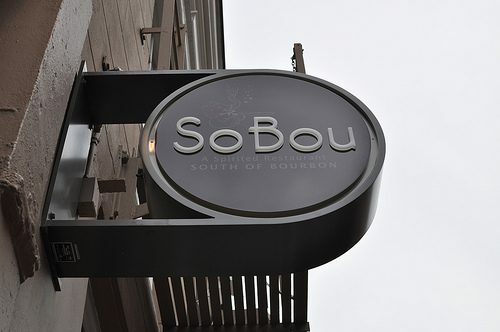 Owned by the Commander’s Palace team, SoBou (named because it is south of Bourbon) offers cocktails created by Lu Brow of Cafe Adelaide and New York transplant Abigail Deirdre Gullo. Using fresh, local ingredients, SoBou serves everything from classics to originals. 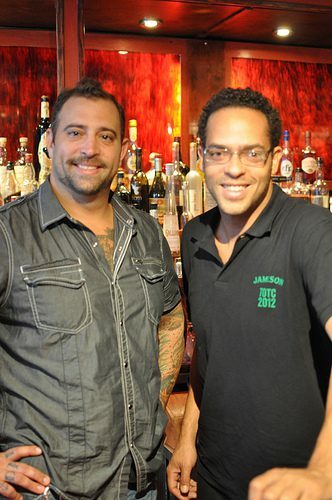 A modern, design, accented by apothecary bottles, this Creole saloon offers cocktails equal in quality and taste to Chef Juan Carlos Gonzalez’s Cajun and Creole small plates. 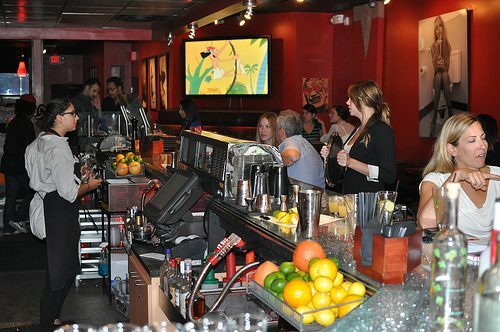 There is a “bar chef’s table” where cocktails are paired with food and for the wine and beer lovers there are self-service wine machines and personal beer taps in the center of 3 tables. 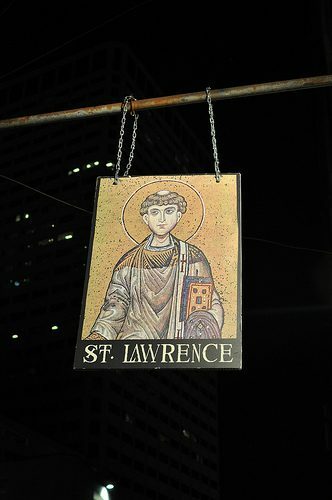 A typical neighborhood bar, St. Lawrence may look like many of its neighbors but step inside and you are in for a cocktail treat. In addition to craft cocktails, they also have a slushy machine. However, these are not the ordinary Bourbon Street Slushies. With flavors like Mississippi Blueberry, Basil and Gin or Picatune Peach Vodka and Champagne Bellini, these slushies are in a category of their own. Originally built as a three-story carriage house in 1796, the space was at one time owned by notorious French Quarter Madame Aunt Rose Arnold in the 1920s who Faulkner modeled “Miss Reba” after. 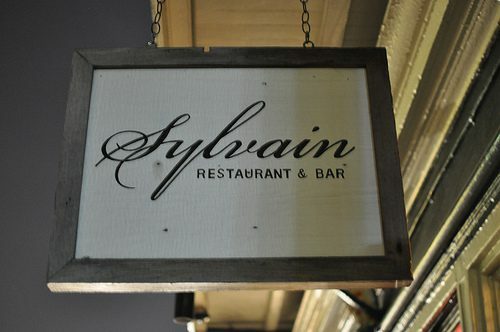 Sylvain offers a tasty bistro-style menu, but the cocktails are not to be overlooked. Mixing classics with modern twists, the bartenders haven’t forgotten their history as they leave a Sazerac on the bar every night for Miss Reba. 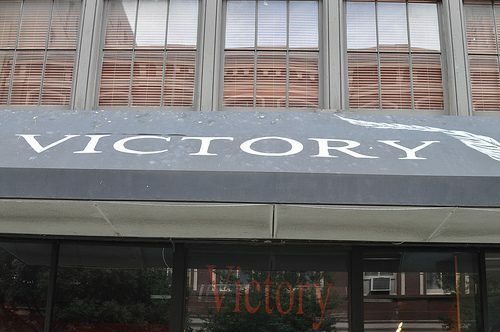 A casual, neighborhood bar in the CBD (Central Business District), Victory Bar is a relaxing, friendly bar that serves “whatever drink the guest wants.” Owner Daniel Victory, who worked previously at the Ritz Carlton, opened Victory Bar to fill a void between the “dive bars and the craft cocktail bars.” Using 100% fresh ingredients and cutting fruit per order, the quality is high while the cost remains low (cocktails cost $7-$11). This entry was posted in Cocktails, Lifestyle and tagged 12 Mile Limit, Arnaud’s French 75, Bar R’evolution, Bar Tonique, Bellocq, Cocktail Bar, Cocktails, Cure, DrinkWire, French Quarter, Liquor.com, Loa, Napoléon House, New Orleans, Old Absinthe House, Pimm’s Cup, Ramos Gin Fizz, Sazerac, Sazerac Bar, SoBou, St Lawrence, Sylvain, Tales of the Cocktail, The Carousel Bar, The Swizzle Stick Bar, Victory Bar by Allison Levine.